Glove Box Dispenser, Wall Glove Dispenser, BUY Wire Glove Dispenser, Exam Glove Dispenser, 922657. 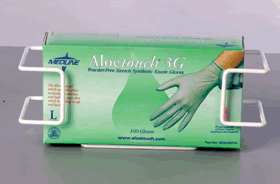 Wire Glove Dispensers, manufactured by AliMed, are versatile Glove Box Dispensers that are designed to hold almost any size Glove box. These Wall Glove Dispensers are designed to use with either one or two boxes of gloves. When dispensing only one box of exam gloves, mount the wire glove dispenser in the horizontal position. 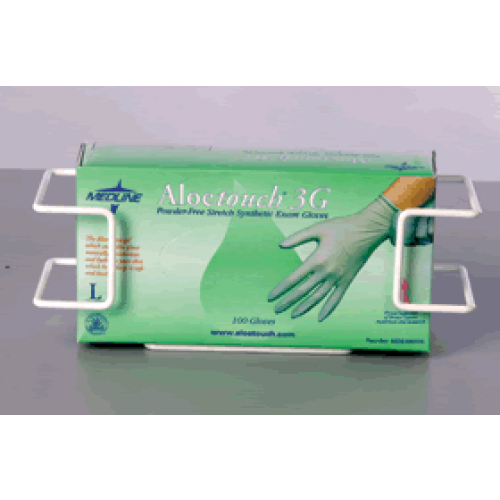 When dispensing two different sizes or styles of gloves, then mount the dispenser vertically. These Wall Glove Dispensers are made from a vinyl coated steel wire for increased strength and durability. The vinyl coating also helps prevent rusting and makes clean-up easier than ever. These Exam Glove Dispensers easily mount with screws.